George Orwell once said, “we sleep safely in our beds because rough men stand ready in the night to visit violence on those who would do us harm.” With all due respect to George Orwell, rough men and rough women stand ready in the night! Memorial Day observances are an important tradtion, that any American should be proud to participate in. However, I ask each and every one of you to keep our fallen men and women and those who continue to serve for us, both at home and abroad, in your thoughts and prayers every day, not just today. Nearly nine years ago, our nation was victim to one of the most horrific terrorist attacks ever. On this Memorial Day, fresh in our minds are the 118 Massachusetts service members who, since September 11, 2001, have died in service to their country. We come together this weekend to celebrate those lives lost, but we gather at various ceremonies to honor all of those who have paid the ultimate price since our nation’s birth more than two centuries ago. Our country is facing tough times right now…there is no doubt that better days lie ahead. But the next time you’re arguing with a family member about the hot political topic of the day or when you’re voicing your opinion to a neighbor or a colleague, remember that our men and women who wear the uniform fought and continue to fight for your right to say how you feel, to articulate your views without fear of persecution and to practice the religion that you hold so near to your heart. Remember this tonight as you watch your evening news program that without the most powerful, dedicated and bravest military in the world, the freedoms that we love and cherish may just be a dream, not a realitly. 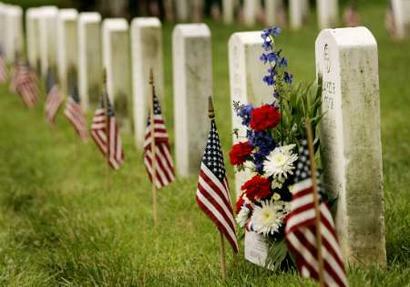 Let us never forget the sacrificies made by so many…for without them…we may never have known what it means to be free. God bless you, God bless our service men and women and God bless the United States of America. BOSTON—House Minority Leader Bradley H. Jones, Jr. issued the following statement, saying Treasurer Tim Cahill is a blatant hypocrite for his recent comments regarding terrorism. Treasurer Tim Cahill really should think before he speaks. Although he’d have you believe different, Treasurer Cahill has long endorsed doing business with known terrorist state, Iran. In fact, when the House held a hearing on divesting the Commonwealth’s interests from Iran, Treasurer Cahill testified against the legislation saying he and his pension staff should have the right to decide where to invest. The only thing transparent about Treasurer Tim Cahill is his political posturing. The blatant hypocrisy displayed by Cahill today really should serve as a reminder that he has no problem saying whatever is politically convenient at the time. Assistant Minority Leader George Peterson appeared in a Fox 25 undercover piece last night. 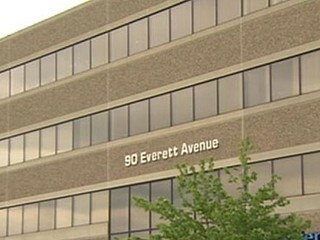 The story focused on a little known fund whose purpose is to clean up after underground leaking at gas stations. Unfortunately, the money is not being used for its original purpose. 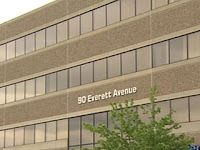 Click here to watch the Fox 25 piece. 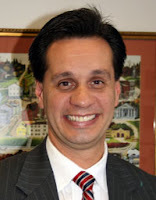 Representative Vinny deMacedo of Plymouth appeared in a news story last night on WBZ-TV where he was asked to weigh in on the recent ATV accident in Plymouth. deMacedo is a cosponsor of the legislation that would require ATV riders to be 14 years of age or older. This just in! Massachusetts isn’t business friendly! Excuse the tongue and cheek title but we just wanted to get your attention. In case you missed it, Chief Executive magazine recently released its annual list measuring all 50 states based on business conditions such as regulation, tax policies and proximity to markets and resources. Texas took the top spot for the fifth year in a row. Rounding out the top five are North Carolina, Tennessee, Virginia and Nevada. Now, here’s where it gets ugly – the bottom five. Not surprisingly Massachusetts is in the bottom five among California, New York, Michigan and New Jersey. Considering Michigan and California have two of the highest unemployment rates in the country, this is not the kind of company the Bay State wants to be in. This is a sad reality check that needs to be addressed with sound fiscal policy and innovative solutions. Unfortunately, the leadership in the corner office thinks raising taxes and fees and tightening regulation is the way to stimulate the economy. This news is a sad reminder that Massachusetts is far from being on the right track. 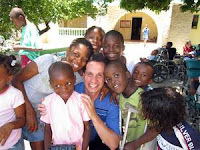 Representative Vinny deMacedo recently returned from a trip to Haiti where he and some of his colleagues in the House had the opportunity to tour the damage left behind by the massive earthquake that struck the Caribbean country. The Plymouth Republican recently spoke with a reporter from Gate House News Service about his experience. Click here to read what deMacedo had to say. BOSTON—Saying the taxpayers shouldn’t be on the hook for poor fiscal management in Lawrence, House Minority Leader Bradley H. Jones, Jr. today called on Governor Patrick to immediately put a financial control board in place to get the struggling city’s finances in order. While the recent news reports of financial trouble in Lawrence are troubling, they certainly aren’t surprising. When the Legislature debated this very controversial issue, I encouraged Democratic Leadership to put an independent financial control board into place immediately. That idea was overwhelmingly rejected and instead Beacon Hill Democrats did what they do best – throw more money at a problem. Now months later, Lawrence finds itself almost out of money and yet city officials are obligated, due to poor public policy, to pay out thousands of dollars in unused vacation and sick time to laid off employees. Today, I call on Governor Patrick to act responsibly and put a control board into place. It’s time for him to be the Governor of all the people – not just to those people living in communities with high Democratic-voter turnout. In case you missed it, the Attleboro Sun Chronicle had a great piece over the weekend explaining why Richard Ross’ campaign should be a model for the GOP. After Scott Brown’s historic victory in January, there was a lot of talk that the outcome of the special election to fill his seat would say a lot about the upcoming November elections. Whether or not Brown and Ross’ victories are a peek into the future remains to be unseen, however what is abundantly clear in the Massachusetts Republican Party is making great strides in this bluest of blue states. Richard Ross ran an issues oriented, positive campaign, much like Senator Scott Brown. His message and his personality resonated with the voters and these are just some of the many lessons to be learned from his campaign. The Sun Chronicle wrote, “A nice guy finished first in this Senate election. If the GOP fields more of the same, the words "two-party system" and "Massachusetts" may be found in the same sentence after the November elections.” Two-party system? Wouldn’t that be a sight for sore eyes? Click here to read the opinion piece in its entirety. 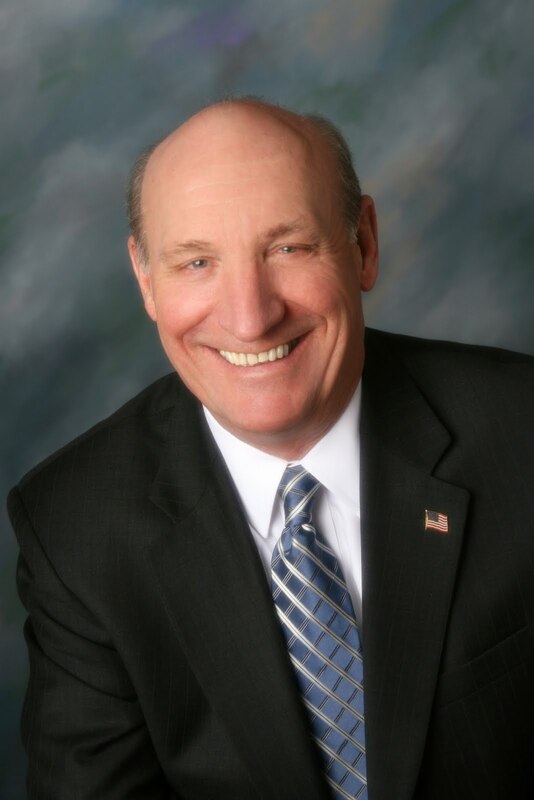 All of us here at The Capitol View would like to wish a very well-earned congratulations to Senator-Elect Richard Ross who yesterday went on to win a decisive victory in the race to fill the State Senate seat vacated by Scott Brown. Richard Ross has served the people of his House district well and he will be greatly missed in the House Republican Caucus. We wish him the best of luck in his new role and look forward to working with him as Senator Richard Ross. We in the Republican caucus have tried several times to repeal or at the very least raise the threshold of the Pacheco Law. Unfortunately each attempt has been overwhelmingly rejected in the House. Click here to read the column in its entirety. 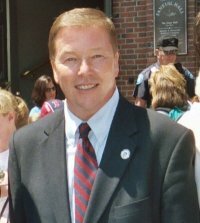 BOSTON—House Minority Leader Bradley H. Jones, Jr. issued the following statement in response to Governor Patrick’s recent assertion that there was a budget deficit when he assumed office in 2007. Governor Patrick seems to be having a tough time matching his rhetoric to reality lately. His fictitious remark du jour can be clearly refuted with a quick glance at the latest state financial documents put out by the Executive Office for Administration and Finance. It clearly shows that Governor Patrick inherited a $77 million surplus when he was sworn into office in January 2007. Unfortunately, Governor Patrick became quite the spend thrift and restored more than $380 million in 9C cuts made by former Governor Mitt Romney as one of his first official acts as Governor. 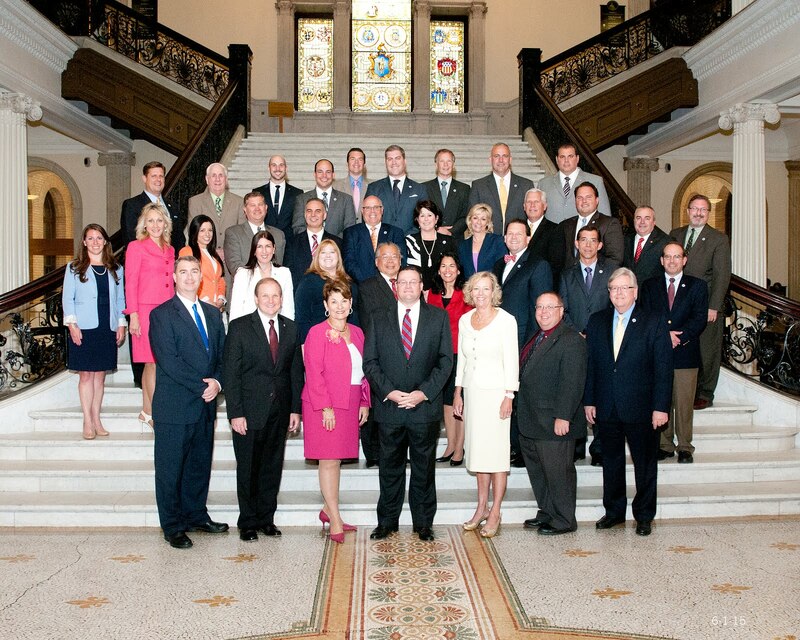 Governor Patrick restored these cuts despite strong opposition from his transition team. The rainy day fund now hovers around $600 million – it’s too bad Governor Patrick felt the need to spend nearly $1.5 billion before the storm blew in. Boston- Representative Jeffrey D. Perry of Sandwich today issued the following statement in response to the inaccurate depiction of a budget amendment he offered on the floor of the House last week. It seems my budget amendment has created quite the stir in the political world this week and though the topic of illegal immigration may be an attractive campaign topic, Governor Patrick should probably read the amendment in its entirety before commenting on it again. Today, Governor Patrick’s reelection campaign released a statement saying the proposal would “turn a homeless child out into a cold night or deny a poor person a meal.” This is ridiculous and further proof that Governor Patrick is playing politics as usual. My amendment is simple and pretty easy to understand. It simply says that in order to receive state benefits such as transitional assistance or public housing, there must be proof of citizenship. It also clearly lays out that all children 18 and younger are exempt. In addition to that exemption, I specifically included in the language that a person cannot be turned away from receiving emergency medical care, immunizations, food and emergency housing at homeless shelters. Today, I am calling on Governor Patrick to implement this common sense proposal through executive order. This is good public policy that deserves the backing of the Commonwealth’s Chief Executive Officer. House Minority Leader Brad Jones spent a few minutes on the phone with State House News Service today, reflecting on last week's budget process. Here's what came of that conversation. House Minority Leader Bradley Jones said Tuesday he declined to offer the traditional closing remarks during last week’s budget deliberations in part because his speech would have focused largely on how leadership under Speaker Robert DeLeo had handled the five-day debate – a process he called “outrageous.” Referring to leadership’s stutter-step efforts to prevent a direct vote on Rep. James Miceli’s budget amendment reinstating the death penalty, which ultimately failed, Jones said, “They couldn’t even screw him correctly. They had to make the rules up as they went along.” Jones called the budget process, which was marked by heavy consolidation of amendments and efforts to block direct votes by proposing further amendments, “an utter and total failure.” Jones said, “The arrogance of the total one-party control is mind-boggling.” Critics were peeved in particular on Friday by the apparent use of a further amendment to a further amendment - a no-no under House rules - as part of the effort to derail the death penalty amendment.